Even though holiday decorations are fun to shop for, the prices can add up quickly! Rather than purchase a sign or banner this year, I decided to make a simple accordion banner out of paper to display on my shelf for the Christmas season. Not only is it simple, but it’s very inexpensive to make and folds up for easy storage if you want to reuse it next year. I have a ton of scrap fabric. And a huge bag full of leftover yarn. So the other day, I got to thinking... why not use up some of these extras to create a colorful piece of art? So I found an inspirational quote and got to work. Keep reading to find out how to make your own wall art using your favorite quote. There's something so fun about a functional letterform, isn't there? Or maybe it's just the typography nerd in me. But nonetheless, you have to admit that storing cotton balls inside of an ampersand is more fun than storing them in a plain old glass jar. I was inspired to make typographic storage containers after seeing ones made from cookie cutters on Pinterest (from Willowday). Instead of using cookie cutters, I simply used clay, a favorite font, and a steady hand! 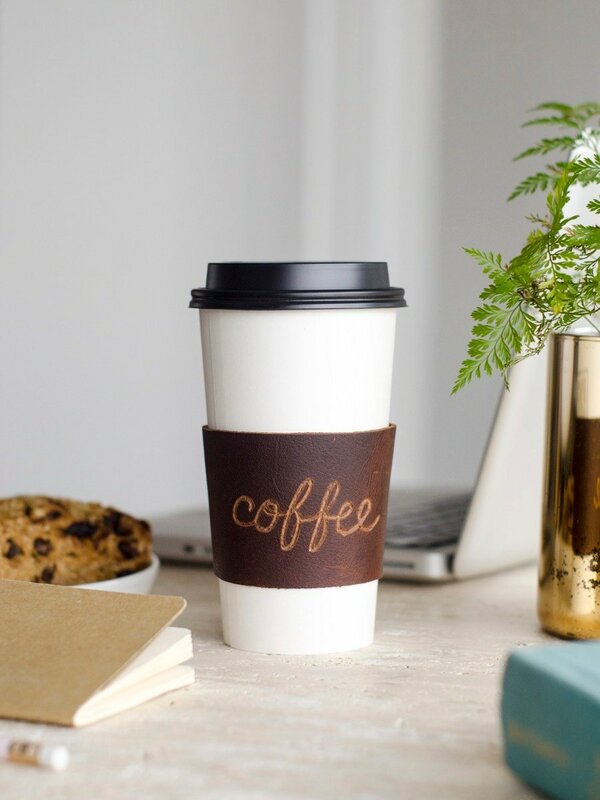 Monograms aren't just for shirt cuffs anymore... there are a whole slew of fun, whimsical DIY letter projects popping up all over the internet. They make great gifts too - who doesn't love something so personalized? Keep reading to check out ten of my favorite projects involving monograms, names and initials. Being a typography nerd, I'm a big fan of the ampersand. It's a beautiful letterform. And being fabric and textile month here at Curbly, I thought that combining sewing and typography could be the perfect project. 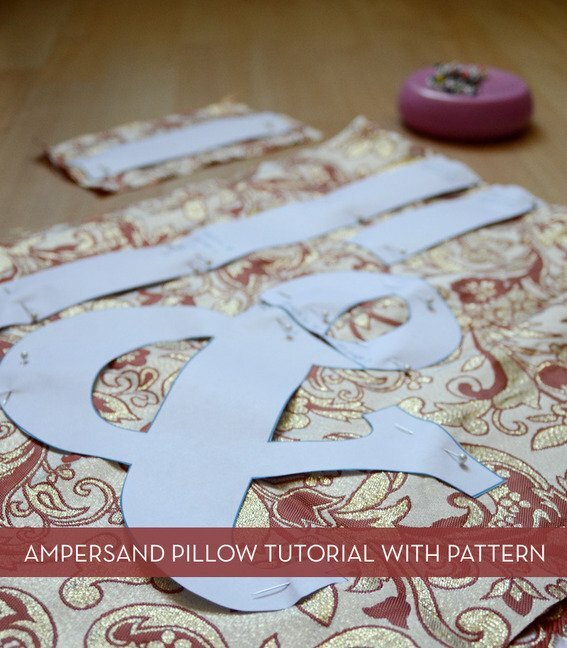 I mean... who wouldn't want an ampersand accent pillow on their couch? Keep reading to get your free printable pattern and the full photo tutorial. 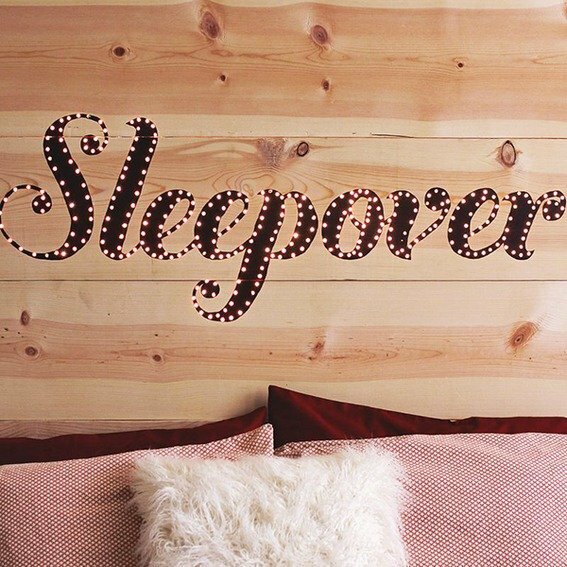 We're taking last week's light-up wall art project up a notch or two with this DIY headboard idea! How To: Make a DIY Typographic Light-up Sign! I love this light-up sign idea! While the wording isn't particularly applicable to my life (no kids here! ), it's a clever wall art / lighting combo project that could easily be adapted to anyone's space or personal style! The ombrè trend is still going strong in the fashion and style words - with fabric, clothing, and even hair taking on lovely gradients and transitional colors. So, I asked myself - could I create this effect using wood and stain? The perfect decor accessory for design lovers, this DIY rug spells out "type" in the fanciest of ways! Make It: Graphic and Modern Tissue Paper Collage! When a DIY project idea comes from two sisters who run a modern stationery company, you know it's going to be awesome!